Perhaps the most important decoration of the holiday season is the Christmas tree. It's where all of the magic happens. If you're not into real Christmas trees, there's always some festive alternatives, but for those of us who can't live without a natural Christmas tree, choosing the right one for the right price can be an impossible task. Some families go big, while others simply choose the greenest one they can find, but sometimes the best option is to go thrifty and get the cheapest one you can find. I mean, you only need the tree for a few days, so why not get the cheapest one on the lot? 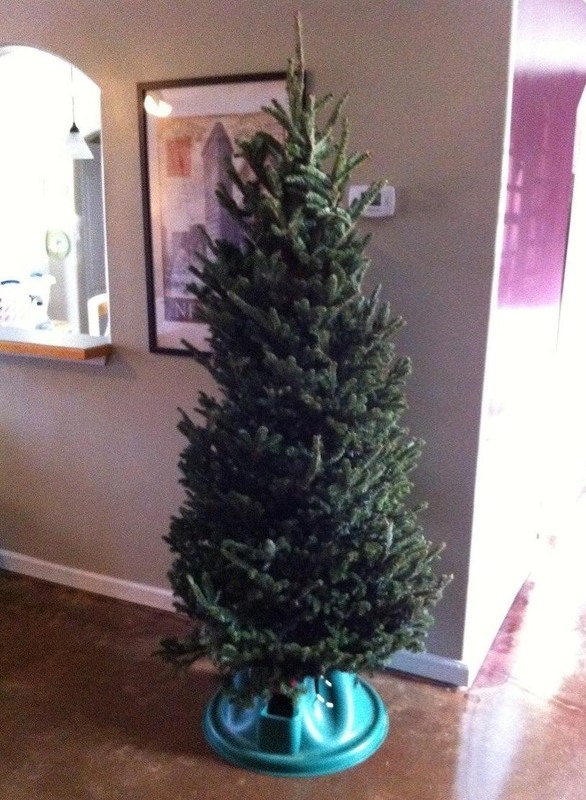 Redditor FriedPorkchop snagged this lovely tree for just 5 bucks over at Lowe's. That's a pretty hard price to beat if you're going for a real tree. For regular priced trees, you're looking at anywhere between $35 and $100, so $5 is unbeatable! Surely, other retailers with live Christmas trees will be discounting the less pretty ones, so make sure to do a thorough search, and don't be afraid to haggle. But, the tree at Lowe's was discounted because of some brown spots and dead branches. Even with these minor defects, the tree will still be great for the house. Just remove the dead branches and be sure to keep the tree hydrated. One major key to keeping any living thing alive is hydration. If you want the Christmas tree to remain as green and lively as possible, you need to have a nice, steady source of water. The easiest way to achieve this is to create a base that can be filled with lots of water. Many people suggest getting a large 2-4 gallon bucket. You can have the kids decorate the bucket so it doesn't look too drab. Fill the bucket with one layer of medium-to-large sized stones or gravel. Pour in enough water to slightly cover that initial layer of rocks. Now place the tree in the middle of the stones and add the rest of the rocks, until the tree can stand on its on. Fill with more water as best you see fit. Be sure to add some sugar and baking soda as well for better tree upkeep. Some people have also suggested throwing in a few aspirins to help the tree better ward off bacteria and other baddies. Purchase your tree at least 10 days in advance, otherwise you won't have enough time to properly fireproof it. Make a fresh cut at the base of the tree trunk. Immediately after, mix your homemade preservative (water, Karo syrup, bleach, Epsom salt, borax, and chelated iron) and add to bucket, the insert the tree's base and let is soak until you're ready to bring it in the house for decorating. 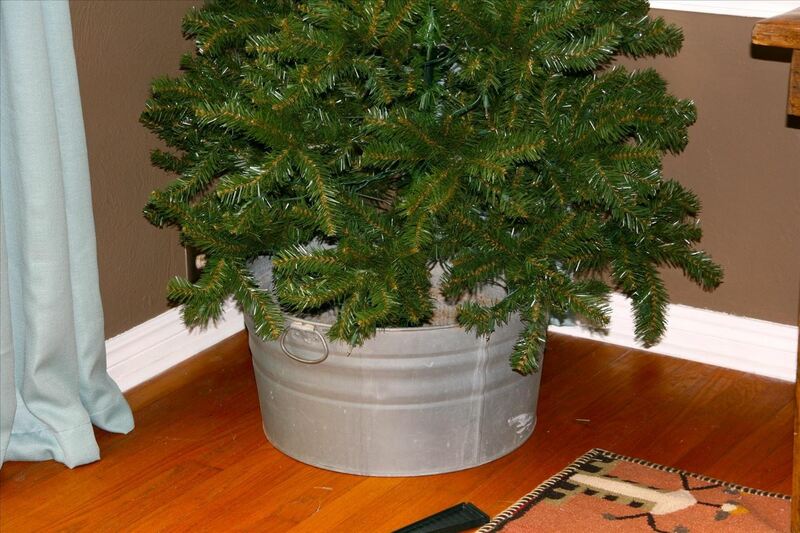 Fill the tree stand's base (or bucket) with the previous preservative mix, or, just water. The key is to keep it hydrated. If you have pets, water is the non-toxic solution. Make sure the tree is always hydrated—daily. To see more of Crawls's tips, check out her remarks. They're pretty detailed, but you can modify them slightly depending on the freshness of your tree. 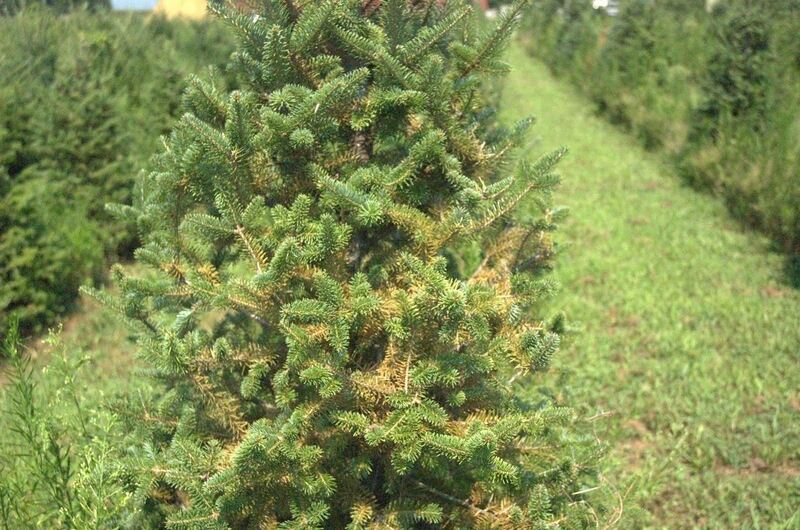 If you tree starts to grow a brown tinge or you purchased one with brown spots, make sure to check it thoroughly. It could be a mites infestation which causes the tree to turn brown as the nutrients are being sucked out. So make sure to examine any tree closely before purchasing. You definitely do not want spider mites entering your home. If you're not sure you can ask the grower to check it out as well. But at Lowe's or wherever else you plan on buying a cheap tree, if you suspect mites, better just skip it. Sometimes a good deal isn't worth the trouble. Unfortunately, the best way to avoid any fire issues is to buy the freshest and highest quality tree and hydrate the heck out of it. But, there's nothing wrong with being thrifty. A five-buck tree means more Christmas presents under it, right? My cats tend to prefer drinking the Christmas tree water, so I don't think sticking bleach in there is a good idea. Probably good for no-pet homes, but for those with pets, stick to water, and maybe change it out every now and then to prevent mold growth. Unless you find a good way to cover it so the pets stay out. My cats find a way in no matter what. There's just something about pine-flavored water that they can't resist. Ugh. Those are some valuable information. I believe that those inputs discuss above are great points to take note of. Cleaning the trees and making sure that those branches that have brown spots should be removed is essential to make it look nicer and fireproof as well.